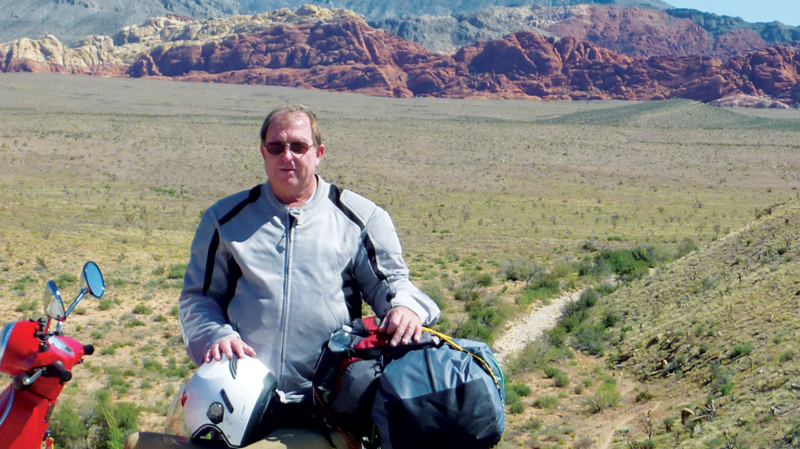 Old Northeast resident, Ken Wilson, is a Vietnam veteran, pilot, world traveler, motor-scooter enthusiast, blogger, and humanitarian. Ken has been traveling the world since he was six months old when his parents crossed the Atlantic via a military transport ship with Ken in tow. 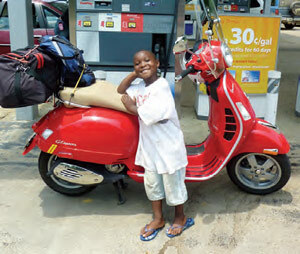 His lifelong obsession with travel and adventure has taken him across oceans – by boat and plane – and North America, Europe, Asia, and Africa on a Vespa scooter! 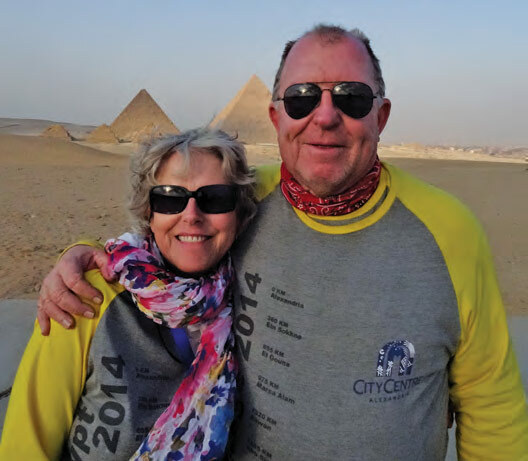 Ken also is a passionate volunteer dedicated to a number of local and international charitable causes. I sat down with Ken to learn more about his story, adventures, and how he is paying it forward. NEJ: Where did you grow up? KW: I was born in Germany and raised in North Carolina. NEJ: What is your professional background? KW: I worked as a professional pilot for over 38 years. I was an Army helicopter pilot. After Vietnam, I worked in the oil exploration business flying planes and helicopters in Third World countries. In my 30s, I became a commercial airline pilot for US Airways where I worked for twenty years. After they went into their second bankruptcy, I decided to retire. NEJ: When did you move to St. Pete? KW: My wife, Vicki, and I bought our place here in the Old Northeast in 2000. We split our time between the house and a boat we lived aboard for 17 years. Around 2006-2007, we sold our boat and moved into the St. Pete house full-time. NEJ: What type of boat did you live aboard, and where did you travel on it? KW: We started on a Watkins 36′ sailboat. Then we moved up to a 45′ trawler that a friend of mine had custom built in Taiwan. During that period, we spent our time moving up and down the East Coast and going to and from the Abaco Islands, in the Bahamas. NEJ: What brought you to St. Pete? KW: The boat brought us here! The boat needed some maintenance, so we took it to Ruskin for servicing. The maintenance was supposed to take three months. It ended up taking a year. We knew we liked it here and once we put our boat in for maintenance, we decided to rent a place in the Old Northeast. NEJ: How did you get interested in Vespas? What is so special about them? KW: I turned 60 and I thought I needed something exciting to do, but I can’t have a motorcycle (because I go too fast). I always admired Vespas because they are everywhere in Europe. So, I decided I needed a Vespa scooter and it had to be red! They are the classiest scooter on the road. It is like a Ferrari with two wheels. NEJ: How many Vespas do you own? KW: I own three. All of them are red and each one has a name. Scoot is my first Vespa. It has a lovely paint job (Jackson Pollock-esque) by Tyler Ramsey, an artist and television producer from California. My second is called Big Red. This is the one I’ve ridden the most. I have about 60,000 miles on it. The third is named Fred. 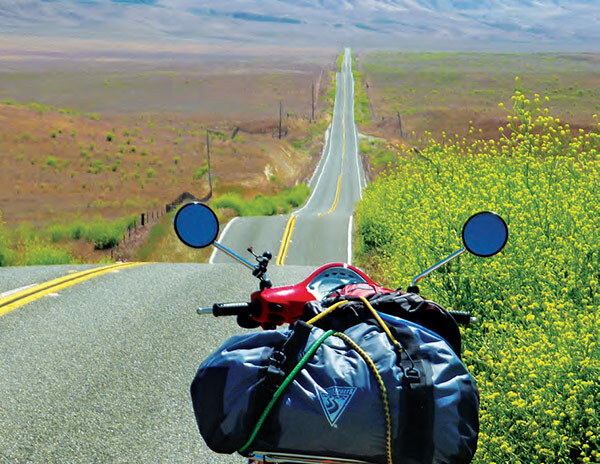 NEJ: What gave you the idea that a Vespa is the ideal ride for touring cross country and around the world? KW: I bought my first Vespa off of a Porche race-car driver. I rode it around town for a while and got bored. So, I decided to ride it up to North Carolina along the back roads. That is when it became my magic carpet to the world! NEJ: What do you love most about it? KW: The greatest thing about riding a Vespa, as opposed to a Harley, is that if you pull into a place with a Harley, an immediate picture is drawn of you as a biker-type. If you are an old fat guy who pulls up on a Vespa, everyone immediately wants to talk to you. That is the magic of driving a Vespa. Not only do you get to see tremendous places, you get to meet interesting people. NEJ: Where have you journeyed on a Vespa? KW: I’ve done the Scooter Cannonball race across the US multiple times. I’ve ridden from Florida to Alaska and back. I’ve crossed Egypt twice. I’ve also done France, Italy, and Canada. I did some riding in South Africa, too. NEJ: How many total miles have you covered on your Vespa? 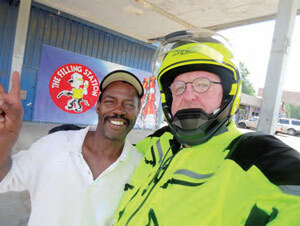 NEJ: What is the most challenging thing when touring long distances on a Vespa? KW: Vespas don’t break down that much. Most things I can fix myself on the road. With my 85,000 miles on the road, I’ve only ever had three flats. The key is to have great towing insurance and a cell phone. Recently, I bought a satellite tracker, which is similar to an EPIRB [Emergency Position Indicating Radio Beacon used on boats]. NEJ: I heard that you had an interesting experience with movie star Armie Hammer and Vespas? KW: Armie is a Vespa-file who always wanted to ride a Vespa across the country. So, a few years back, he rounded up ten of his friends and set out across America from Los Angeles. They had a set of rules: no hotels, no chain restaurants, they had to fix their own scooters, and no interstates. If someone invited you to stay at their house, then everyone could stay. They got to the Florida Panhandle where it was 32° and they were freezing to death. Their Vespa rep, who I knew, called me to ask if I would invite Armie and the boys to my house to stay. I said of course. So, they all rolled into St. Pete and stayed one night before moving on to Key West. That is how Tyler Ramsey ended up painting my scooter. He is Armie’s best friend and was part of the group. On their way out, I rode with them for a while and then came back home. NEJ: Which country that you have visited thus far is your favorite? KW: Turkey because they are the nicest people in the world, but Turkey and France are a tie. NEJ: Which part of the United States that you have visited thus far is your favorite? 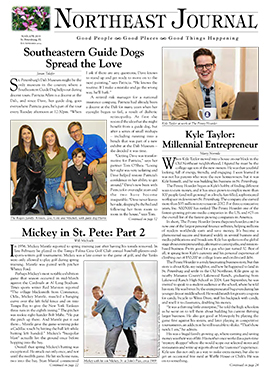 KW: The desert Southwest, Florida, and the Mississippi Delta. NEJ: What advice would you give someone interested in setting out across country or around the world? KW: Prepare, plan your route, and prepare your machine. NEJ: Tell me about www.lostboater.com, the blog you write. KW: I started it as an email journal that I would send out to my friends. I also started it to remind me of where I have been over the years. Then, in 2010, I put it out as a blog. Now I’m writing it like a book. NEJ: Tell us about the charitable organizations you are involved with both internationally and locally. KW: I used to work in Ecuador and had a home in Canoa, Ecuador. Together with some of our friends there we formed the James Dean Byrd Foundation. The foundation started a school, Escuela Bilingue Los Algarobbos, to serve the poorest children in the village. The school serves grades one through seven. To date, we have helped about 300 children. This one is always a challenge for money. People interested in helping can go to www.jamesdeanbyrdfoundation.org. 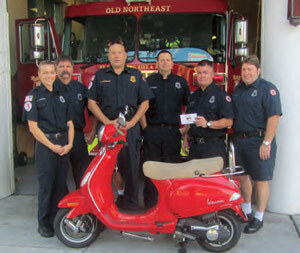 We have another foundation called the Big Red Scooter Project. It is dedicated to promoting random acts of kindness to those who need a little help. We don’t look for donations, though people do give us money. Anyone interested in helping can visit our website at www.thebigredscooter.org. For the past eight or nine years, I’ve served as a volunteer with the Christmas Toy Shop Project, in St. Pete. The nonprofit organization has been here for 95 years. Volunteers work all year to repair old toys and put together new ones. Every Christmas, we distribute the toys to over 2,000 children in need. To learn more, readers can visit www.christmastoyshop.org. For the past couple of years I also have worked as a volunteer for Meals on Wheels. NEJ: What is next adventure? 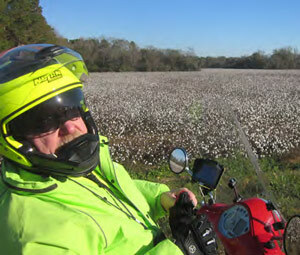 KW: In May, I am riding from here to California and back. I also want to go to Big Ben National Park in Texas. Next fall, I’m going to scooter across Spain. We’ll start in Barcelona, make our way up to the Pyrenees Mountains, and then back. Fantastic story!!! Sounds like a fascinating man with a big heart.